As a homeowner, there is always something to do. What happens when the weather gets colder though? Don’t worry, there is still plenty that you can do to keep your house in tip-top shape. Read on to see how you can continue doing home improvements, even when it’s winter. 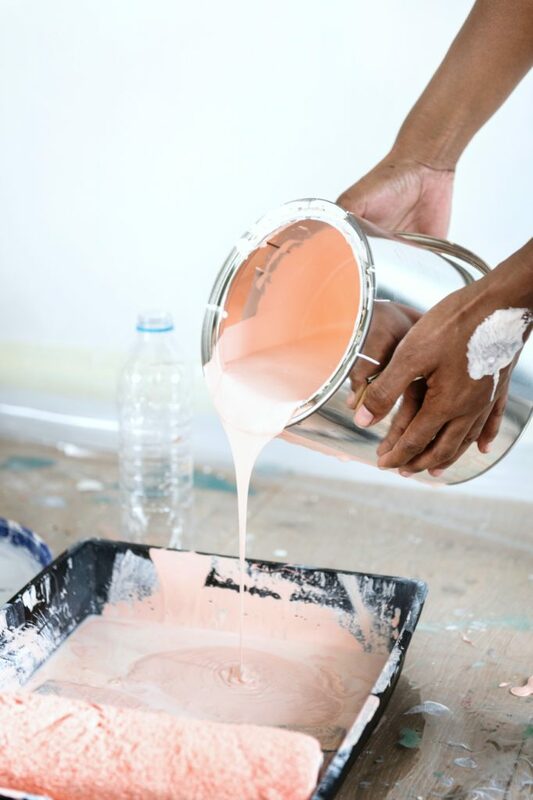 If you’re like me, you are probably already sick of your paint colour. I chose a neutral colour and I already bored with it. If that sounds like you, try repainting! Go with a bright, cheery color to liven things up. When the weather is dull and grey, it helps to have a fresh new coat of paint to brighten up those grey days. 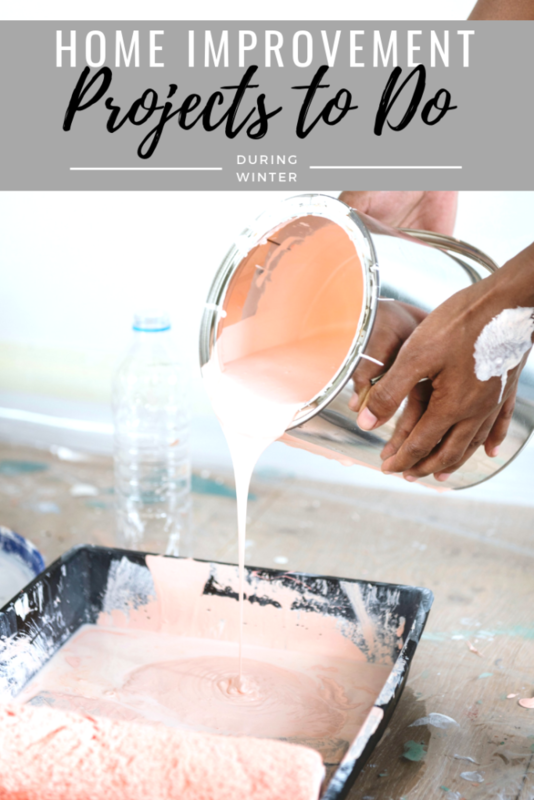 If it is too cold to open the windows while you paint, you should try using low-VOC paint. That way, you know you are safe and not breathing in those harmful fumes. We are in the process of doing this now and you can be surprised at how easy it is. You can really make a difference with just a few small things. You can re-grout your tile, repaint your walls, replace your faucets, upgrade or refinish your vanity. You can even just upgrade the hardware and make a huge difference that way! I de-clutter year round but, especially in winter. Since there is much more time spent indoors! I do a little bit at a time and come to Springtime, there is not much left to do. That leaves more time to enjoy the beautiful weather and less time spending hours de-cluttering all at once. Though, you can always opt to rent a truck like Eagle Dumpster Rental to help you out in the spring. I am a true believer that installing a smart thermometer will help you save money. Especially during the winter. It learns your patterns and will program itself. That way, you are using the heat that you need when you’re home, not when you aren’t. Plus, you can control it from ANYWHERE. Inspect and do a walkaround of your home. You will be surprised at how much effect drafty or dated windows can make on your bill. You can insulate during the winter and save money on your bill. You can replace the windows in the Spring if needed. While you’re at it, check your attic, basement ceilings, heating, and air conditioning ducts. If you have fans installed, keep the heat in your home by flipping the reverse switch on your fans. Hot air rises so when your fans are reversed, it causes an updraft. It will push the heat that rose back down and keeps the house warm! These are just a few tips of things you can do to keep busy during the winter. Plus, if you clean and upkeep your home all-year, nothing builds up and gets out of control. What do you do around the house during the winter? It makes a world of a difference. We are in the process of it!